Vitamin D - Protector from Cancer? Vitamin D – Protector from Cancer? Probably one of the most unknown facts regarding vitamin D is that it’s one of the most powerful nutrients in nature. Not only does this inflammation fighter help promote healthy heart and brain function, but new studies show the vitamin can help slow down the progression of certain cancers. As a matter of fact, according to numerous studies and medical journals vitamin d, the sunshine vitamin, may be the key to optimum health. It’s no surprise that some scientists call Vitamin D the ultimate protector from disease. However, nine out of 10 Americans are deficient in vitamin D. Furthermore, it’s been documented many times that even people who spend plenty of time in the sun can still lack this vital inflammation fighter. This is becoming more and more serious because inflammation is a major cause of heart and brain attacks, high blood pressure, joint pain, bone loss, digestive problems, blood sugar imbalances and a host of other serious health problems. The conclusion of their study should solidify the thought that vitamin D is important. Furthermore, there’s some good news if you feel you’re vitamin D deficient: It’s possible to restore healthy levels of vitamin D by starting a daily routine of taking a vitamin D supplement to avoid dangerous health problems. Finding the highest quality, and most absorbable vitamin D for optimum bone, heart and brain health, is highly recommended. NOTE: Always check with your health professional, or doctor, before taking any supplement. To learn more about Vitamin D, go to My TriVita Business Site, or contact me. The above information presented herein is intended for educational purposes only. These statements have not been evaluated by the FDA and are not intended to diagnose, cure, treat or prevent disease. Individual results may vary, and before using any supplements, it is always advisable to consult with your own health care provider. 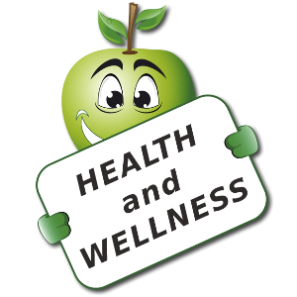 Healthful Choice is a promoter of health and wellness with an entrepreneurial spirit. We provide information on health and wellness products; it’s up to the consumer to make the decision if what I provide is helpful. Weight Loss System for Women ONLY! This program is for women struggling to lose weight. Muscle Maximizer for Men Only! Men! Want to firm up your body? This program is for you! Do Brains Shrink as Bellies Grow? Vitamin D Revisited on Vitamin D – Protector from Cancer? Healthy Choice » Blog Archive » Vitamin D Revisited on Vitamin D – Protector from Cancer?